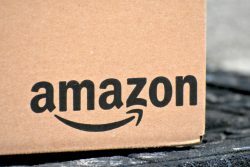 This is why I’ve been against using those review clubs and buying fake reviews online: http://techcrunch.com/2016/06/01/amazon-sues-sellers-for-buying-fake-reviews/?ncid=rss Amazon is not playing around – and they will only be intensifying their efforts to seek out legitimate reviews. This is why I always tell my students to stick to legit reviews. 0	After A Long Hiatus… I’m Back! After A Long Hiatus… I’m Back!